We pride ourselves on offering a personal, friendly and compassionate service. At our boutique florist shop on Moulsham Street, Chelmsford, we have a dedicated, private consultation area. This gives you the space you need at this difficult time to discuss your arrangements in confidence. 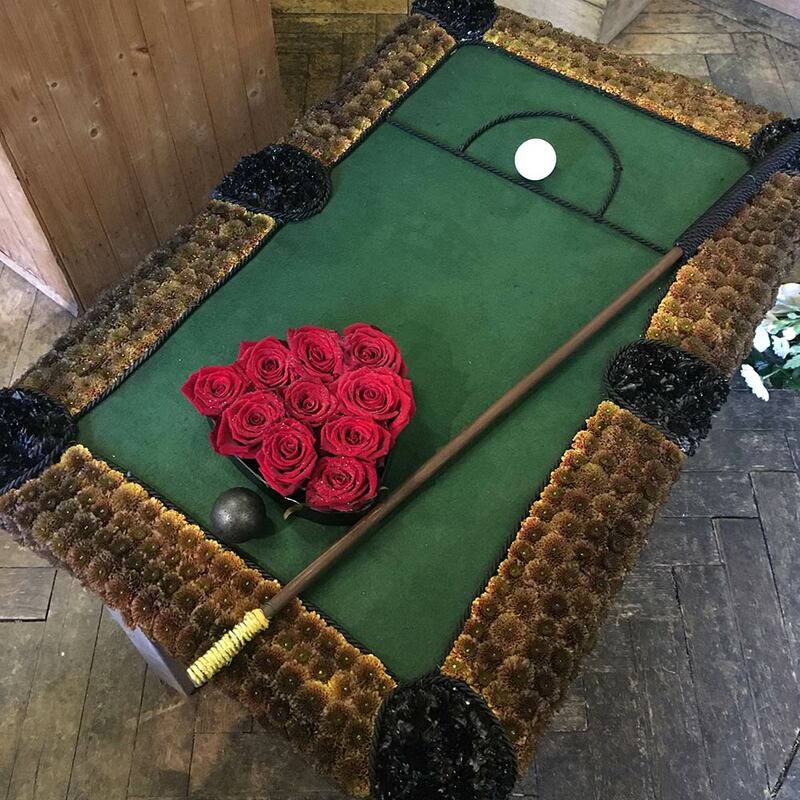 Together, we can create a bespoke funeral arrangement or floral tribute that captures your loved one’s personality, sense of humour or favourite colour. At a time when it is difficult to express your feelings, making a truly personal tribute can give your loved one a memorable farewell. A floral gesture can speak a thousand words. 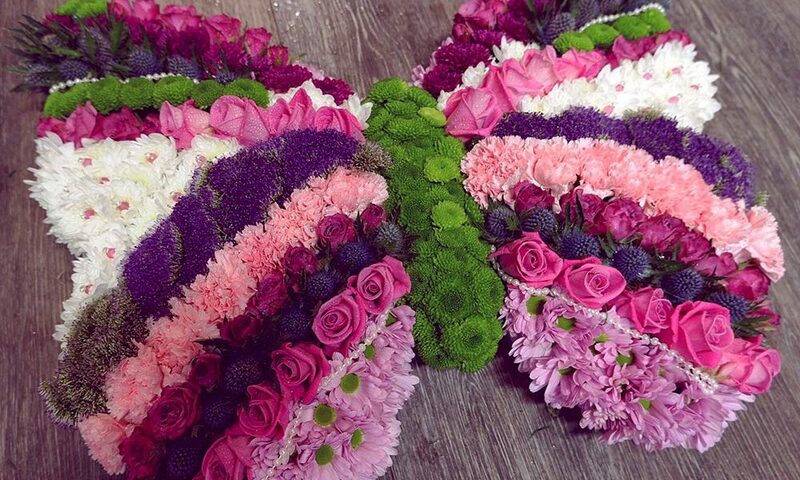 While we are able to provide whatever flowers you need for the funeral, our speciality is bespoke tributes. 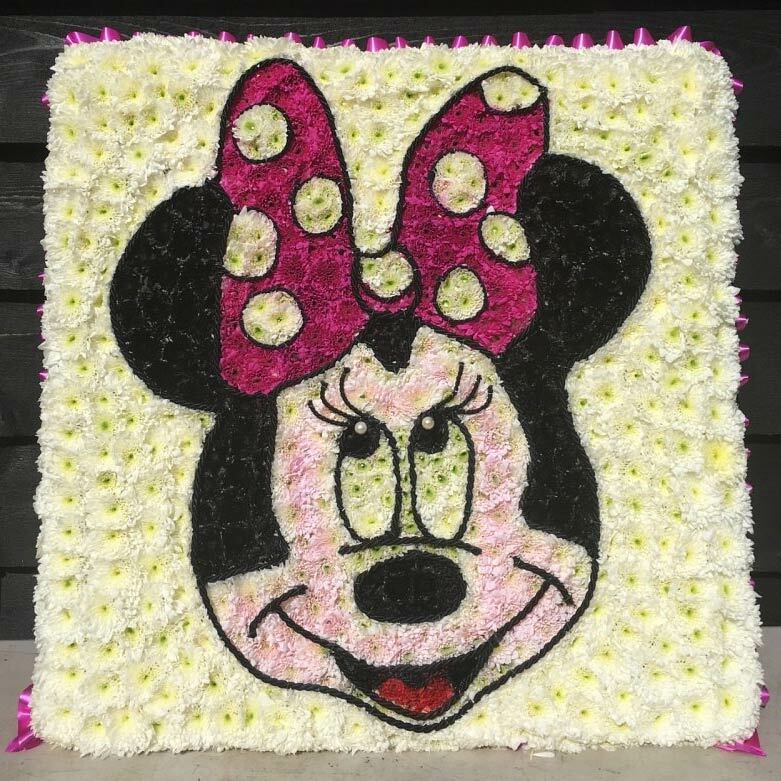 We can make anything in flowers: from sporting tributes and hobbies to Disney characters and animals. However personal or unusual, we can create a sympathy tribute tailored to your exact wishes. 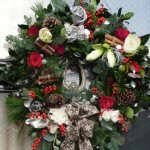 Springfield Florist are able to provide many types of traditional funeral flowers, such as heart or cross tributes, coffin sprays & sheaves, cushions and pillows, funeral poses and bespoke lettering. Please take a look at our sympathy flower gallery for some of our past work. We have many more photos available to share with you at your consultation and all our traditional designs can be customised with whatever colour or flower you prefer (depending on seasonal availability). Over recent years, environmentally friendly funerals and woodland burials have become more popular. We are happy to make any provisions you wish to help minimise the environmental impact of your funeral flowers. Our florists have experience dressing wicker coffins with flower garlands and can arrange to dress the coffin on the day so the flowers remain fresh and at their best for the service and burial. Springfield Florist is able to liaise with the funeral director on your behalf, aiming to make it a stress-free process for you. Usually, our clients request delivery to the funeral directors where the deceased may be lying in rest prior to the service. Here, we are able to dress the coffin for a beautiful, natural finish. This means that your flowers will arrive at the service with the coffin. 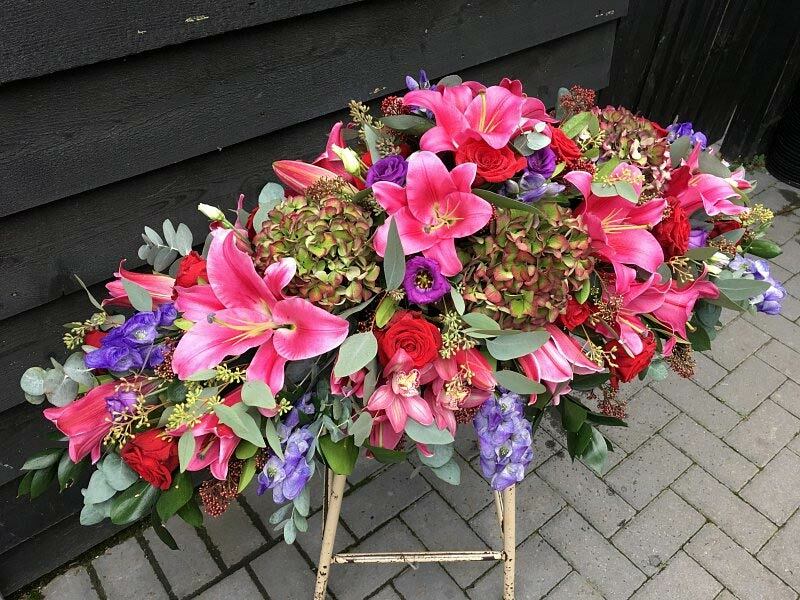 Alternatively, flowers can be collected from our shop or delivered directly to the location of the service. At such a difficult time, we understand your need for compassion and privacy, so to arrange a private discussion with one of our florists, please call us on 01245 264 566 or via our online contact form. 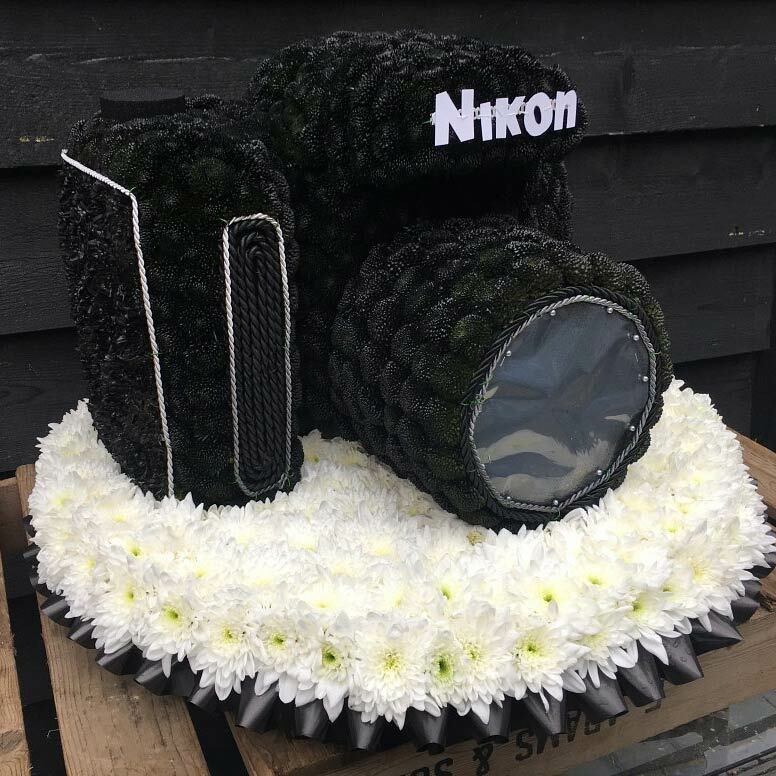 This entry was posted in Funeral Flowers and tagged bespoke tributes, coffin sprays, funeral flowers, funerals by Springfield Florist. Bookmark the permalink.